Prolight + Sound will see the official launch of Robert Juliat’s extended TIBO range, a comprehensive range of modular fixtures that introduce the idea of the Creative Concept Light. 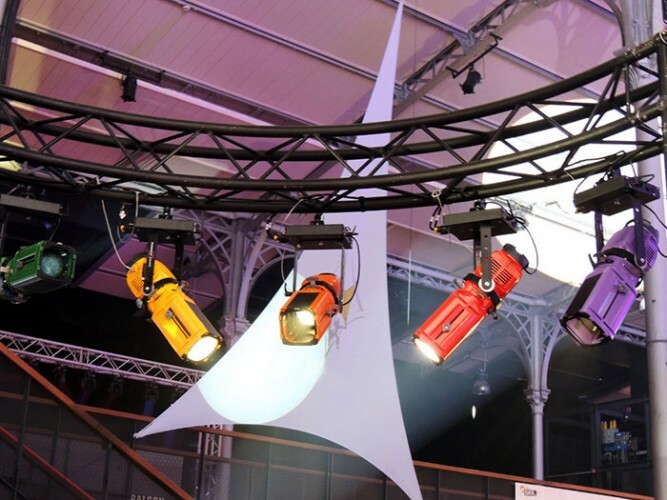 The Tibo range, already the recipient of an ‘Etoile du SIEL’ award, offers a ‘mix and match’ choice of lightsource (LED, tungsten halogen and discharge), lens type (Fresnel and profile) and body colours. Like the notes in a symphony, designers and technicians can choose from this wide selection of components, to compose endless lighting solutions to suit any application, whether it is for theatre, architecture, TV studio, event, display or retail purposes. 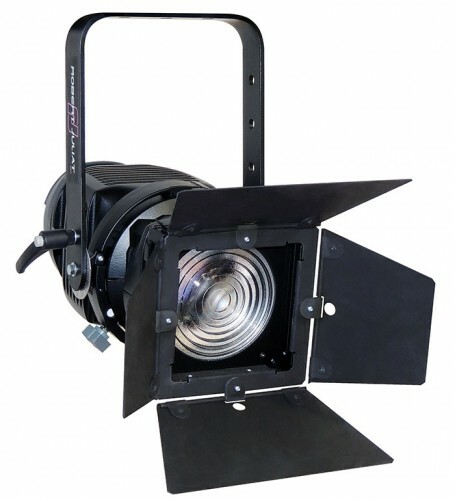 The new additions to be launched at Prolight & Sound include two new profiles offering a choice of dynamic variable white LED or HID sources, and a Fresnel version available in all types of Tibo light source. The new 250W HID discharge profile is extremely powerful and good value for money offering long lamp life and lower maintenance costs. Like the tungsten version, the discharge Tibo benefits from a new, exclusive ellipsoidal mirror designed by Robert Juliat to optimise the light output. The choice of Tibo 75W LED sources, already available in cool white (6500K), neutral white (4000K) and warm white (3000K) options, has been expanded with the addition of a new variable or dynamic LED source which ranges from 2700K to 5700K for precise colour temperature control. All Tibo LED units have a flicker-free ballast which makes them suitable for film, television and studio environments as well as in conventional theatre. The cool running LEDs make them ideal for use in listed venues, exhibitions, museums or when lighting valuable or light-sensitive objects. Finally, all profiles in the Tibo range have a 360° rotating body and a unique optical system which offers the choice of two zoom ranges (30°/45° and 15°/ 35°) in one single unit. The Tibo Fresnel is a brand new tool in the RJ portfolio. Tibo Fresnel complements the range and benefits from the same features: solid cast aluminium bodywork with 360° rotation and the full choice of light sources. Each lantern in the Tibo range benefits from the same impeccable attention to bodywork and optical system that is present in every Robert Juliat fixture. 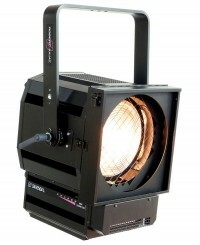 Also receiving its official launch is the 150W ZEP 340LF LED Fresnel, designed to complement the ZEP 640 profile spot. This new fixture serves to confirm Robert Juliat’s engagement with the latest in LED technology. Available in two colour temperatures (6000K and 3200K), the ZEP Fresnel offers a very wide, even beam and long 50,000hr LED life. 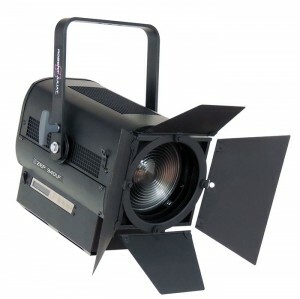 With its high output and its 200mm Fresnel lens, ZEP 340LF LED is perfect for TV studios, theatres and events, as well as architectural applications. Also present on the Robert Juliat stand will be Le Cin’k, a versatile lantern with interchangeable lamp bases that is equally at home in studio, theatre or film set. The past year has been an excellent year for Le Cin’k worldwide with fixtures now installed at London’s Royal Opera House, the Kunshan Opera House in China, Singapore’s Star Performing Arts Center, Russia’s Tobolsk Drama Theatre, the Hungarian State Opera House, San Paulo Companiha de Danca, Brazil and the Wielki Opera Naradow in Warsaw, Poland. Robert Juliat will be showcasing this model’s success at the show. Robert Juliat developed the Cin’k range of 250mm Fresnel lens spotlights to include the innovative feature of a removable lamp compartment with interchangeable lamp base which gives several modular solutions based around this common component. A single lamp house can accept any of four kinds of lamp bases - accommodating either 2500W tungsten, 5000W tungsten, 1200W discharge or 2500W discharge lamps - and can therefore be quickly turned into a new spotlight according to requirements. This is especially valuable to rental houses, multipurpose venues and studios as each unit is versatile and quick to transform, saving storage space and investment in fixtures which can only perform one function. Le Cin’k also offers an innovative option of a silent cooling fan which focuses on the accessory slot. This has the double benefit of preserving colour filter life and allowing the use of deeper colours with the insurance of a longer lasting effect. Robert Juliat also recommend the use of their DMX controlled dimming shutter, the Jalousie, in conjunction with the discharge option of Le Cin’k to enable the unit to be fully dimmable. All of these Robert Juliat products and more will be on show at Prolight & Sound, Frankfurt where Robert Juliat will be exhibiting with their German partner, Lightpower, in the Lightpower Village (Robert Juliat stand Hall 11.00 Stand C77). In picture: Tibo Profile, Tibo Fresnel, ZEP Fresnel and Le Cin’k.